New Zealand has topped the list of imports amounting to eight-four point two million dollars for July. This, after an increase in imports of telephones, mobile phones and wireless devices were recorded. The Fiji Bureau of Statistics has revealed it is a two point three percent increase compared to July 2016. China followed suit, amounting to a seventy six point four million dollar import of fresh fish. Fiji also imported large amounts of goods such as diesel from Singapore, wheat from Australia and parts for aeroplanes and helicopters from Hong Kong. 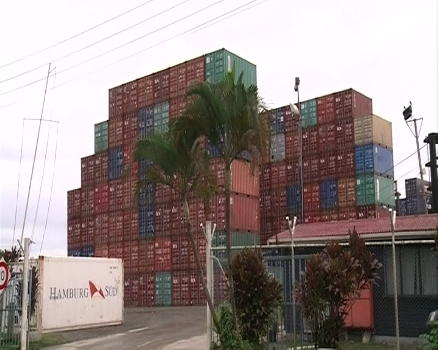 As for Fiji’s export bill for July, Sugar attributed for the highest goods sold to the United Kingdom at thirty-five point eight million dollars. This is a sixty point nine percent growth in exports compared to the same period last year. Canned fish to the America, garments to Australia, followed by biscuits to Vanuatu and Dalo to New Zealand make up the top five exports for July.